EWR Co's Consultation closes on 11 March 2019. After that, they choose a single Route. This is your last chance to influence that decision. Submit a feedback form, and make sure your neighbours know about this Consultation. We would particularly welcome the help of Transport Planners. Follow this link to our PETITION which will highlight the amount of local support. If you still stay logged in to the Petition website it then tries to encourage you to sign other petitions, again no advantage to CBRR. Please note: donations to 'change.org' DO NOT go to CBRR. Please do also write or email your Parish, District and County Councillors to show your support. If you would like help with something to write, you can build on the words we offer in this link. 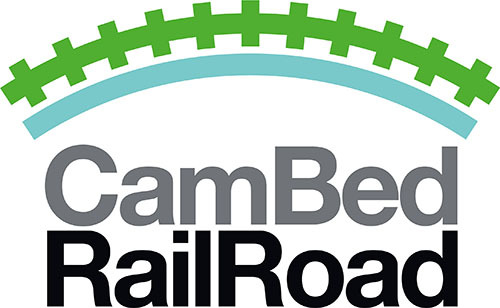 CamBedRailRoad is a not-for-profit Community Interest initiative that aims to secure the optimal transport infrastructure between Bedford and Cambridge. Your support will make a difference. We thank you for your help. Don't delay! Once the final routes have been chosen the battle for common sense may well be lost.